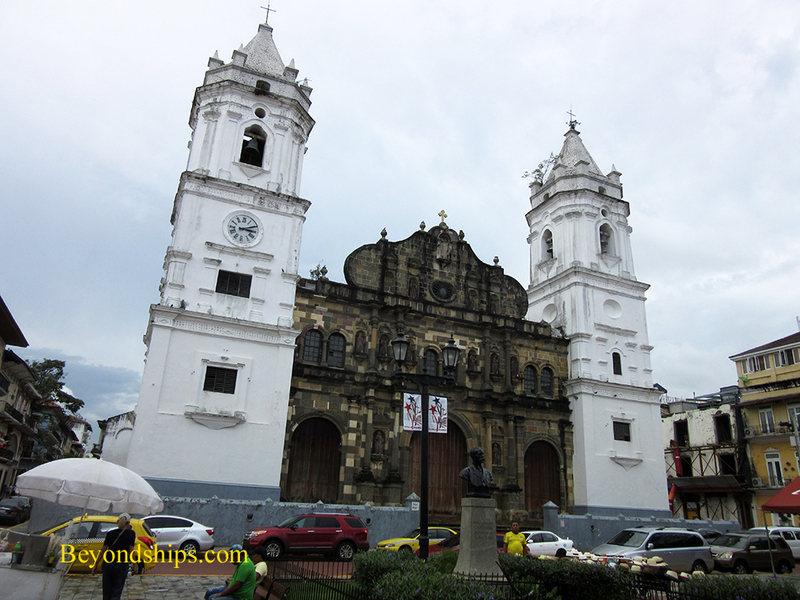 This is a review of a shore excursion that focused on one of the three incarnations of Panama City - - the colonial city or Casco Viejo. 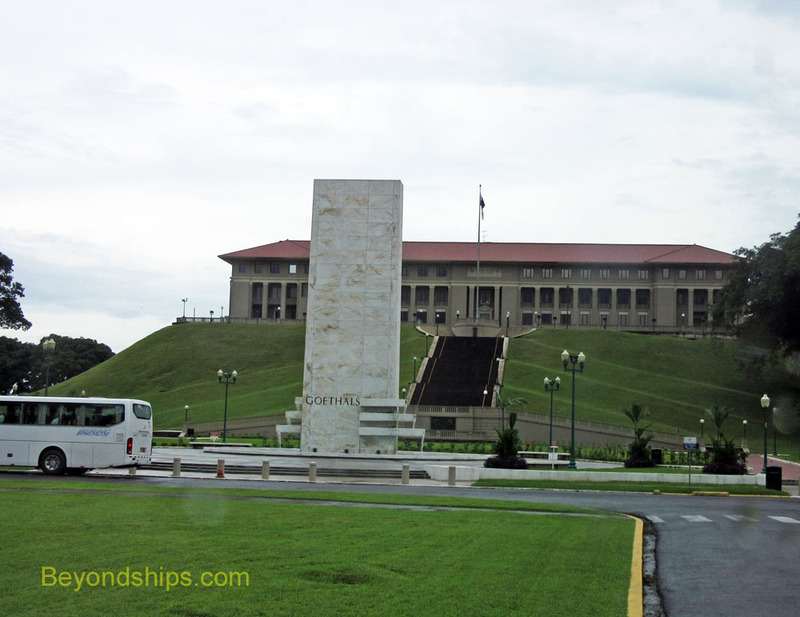 We choose it because it combined touring the historic city with the opportunity to see something of the workings of the Panama Canal from the land. Panama City has gone through three incarnations. 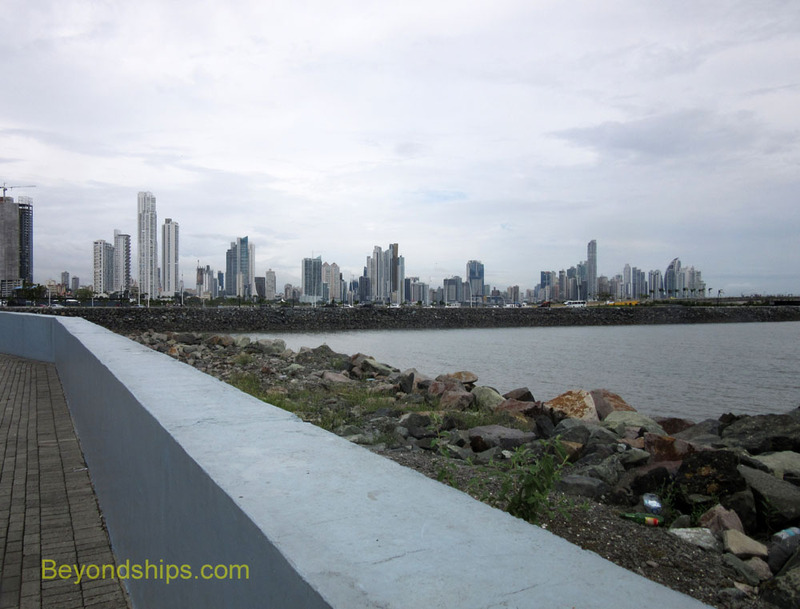 Many cities go through multiple incarnations but what is unusual about Panama City is that each of these incarnations took place in a different location. The first city, known as Panama Viejo (Old Panama), was the original city founded in 1519. It was where the conquistadors brought the treasure that they had looted from the Incas for transhipment overland across the Isthmus of Panama and then on by ship to Spain. Naturally, all of this gold attracted the interest of pirates. So, in 1671, Henry Morgan led an army of buccaneers through the jungle from the Caribbean coast and attacked the city. To prevent it from falling into Morgan's hands, the governor burnt the city. As a result, all that remains of Panama Viejo is a ruin. Spain was not about to give up on Panama, however, and so a new city was built a few miles away. This city is called Casco Viejo or the Colonial City. It was completed in 1673 and was all that there was of Panama City until the beginning of the 20th century when construction of the Canal began. The third city is the modern Panama City. This is a gleaming metropolis on the shores of Pacific, dominated by tall white highrise buildings. For the most part, it lies across a bay from Casco Viejo. We met our guide at the Gatun Yacht Club after tendering ashore. As soon as we were on the bus, there was a tropical downpour. Such downpours are not unusual during the rainy season. There would be similar downpours throughout the day. However, all of them occurred when we were on the bus with only a few droplets falling at the various stops. The bus took us to the highway that runs across Panama. It is much like any interstate or motorway that you would encounter in the United States or Europe except that it was surrounded by thick rain forest. During the bus ride, we had glimpses of a few of the landmarks associated with the Canal including the Chagres River and the Centennial Bridge. However, the most interesting sights were all of the facilities that were built by the Americans during the United States' administration of the Canal. These included not only military bases but also administration buildings, recreational facilities and residences. In fact, one area looked more like a 20th century U.S. town than part of Central America. The Panamanians have now put most of these facilities to other uses. 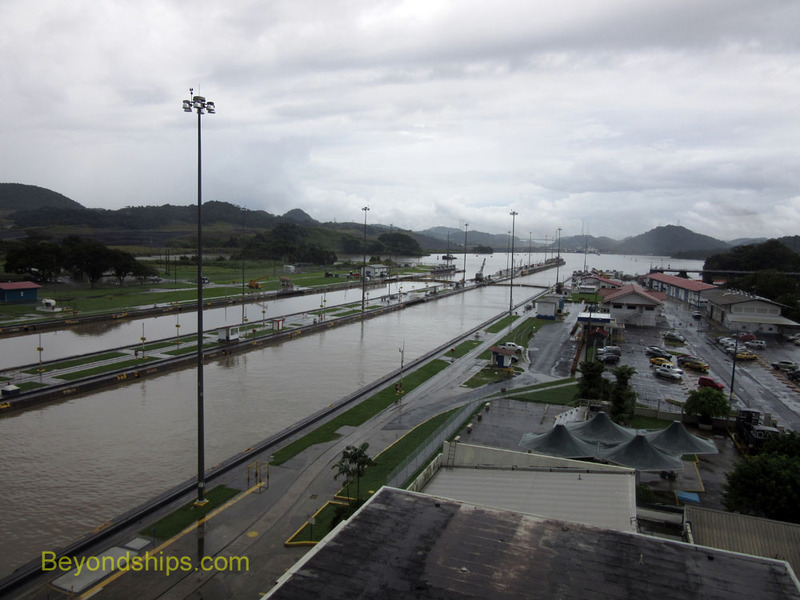 The first stop on this tour was the Miraflores Locks. There is a visitor center here with exhibits and a movie about the Canal. 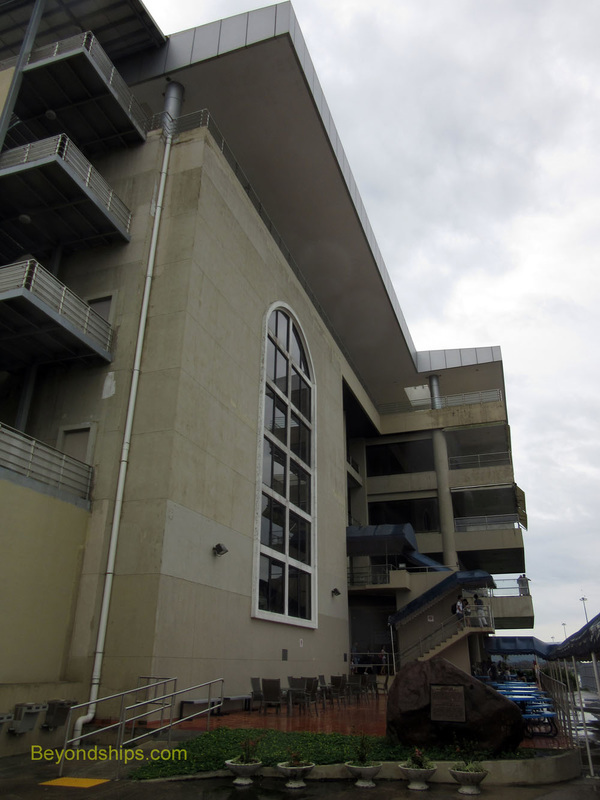 But we found the most interesting part of the Center was its multi-level viewing platform. From here, you can watch the locks in operation. In addition, you can see all the way to the Pedro Miguel Locks and the Centennial Bridge as well as get a view of the work being done to expand the Canal. Continuing on, we came to the vast sprawl of modern Panama City. From afar, you see the gleaming highrise towers. But driving through the streets, you see some handmade buildings consisting of corrugated metal sheets and other signs of poverty. 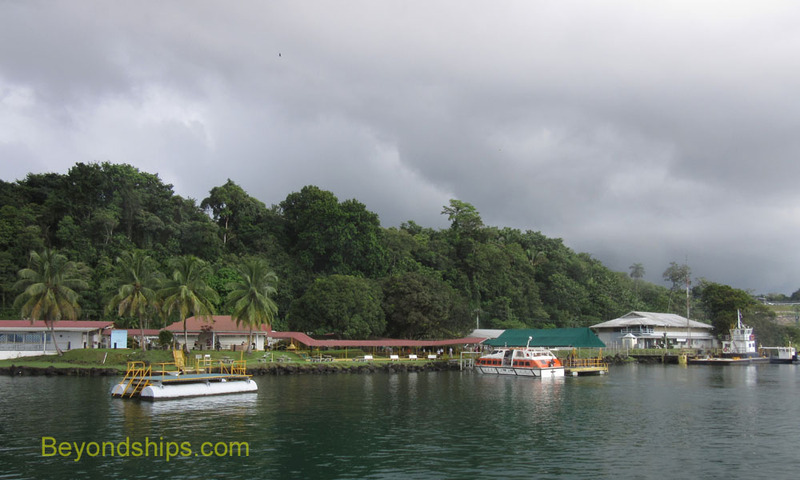 ﻿Above: The Gatun Yacht Club, the jumping off point for this tour.